We will WOW you with our amazing touch! 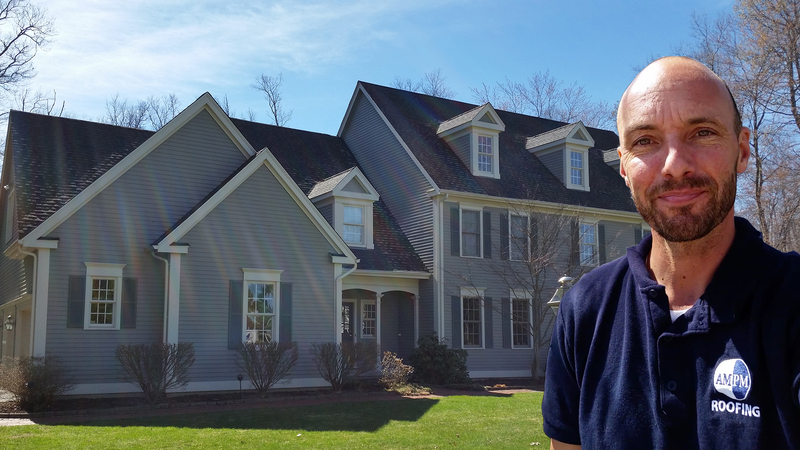 Giving comfort & peace of mind to Connecticut homeowners since 1998. Award winning, highly rated, proven & trusted. Local, third generation roofing company with 30+ years experience. Proven, Trusted & Award Winning! AM PM Roofing is a local Connecticut roofing and home improvement company. With 30+ years roofing experience, we can execute any roofing job large or small. We save you money by offering transparent and fair pricing. Recipient of award winning ratings and reviews – BBB A+, Best of HomeAdvisor. The top brands, styles, and types of roofing are available to customers. Manufacturer’s and Workmanship Warranties available. Professional, courteous, and knowledgeable staff. We have earned a reputation of honesty and trustworthiness. We make the entire roofing installation, repair or replacement process easy. Give us a call at (860) 346-2676 and set up your FREE in-home consultation today! Customers give AM PM a Thumbs Up! Simply the best roofing company in central and eastern Connecticut. Paul and his team did a great job. They showed up on time and got the roof done in one day. When they left the entire area was cleaned up and looked like they were never there. Paul was not the lowest bidder, but they weren't far off. I paid a little more for AM PM based upon their reviews. I am very happy with my choice and highly recommend them. Project: Install or Replace an Asphalt Shingle Roof. Comments: Very good workmanship finished in day. My neighbor recommended AM-PM Roofing, and now that they've installed my roof, I recommend AM-PM Roofing. They showed up on time yesterday, removed my old roof, installed my new roof, and left nothing behind. 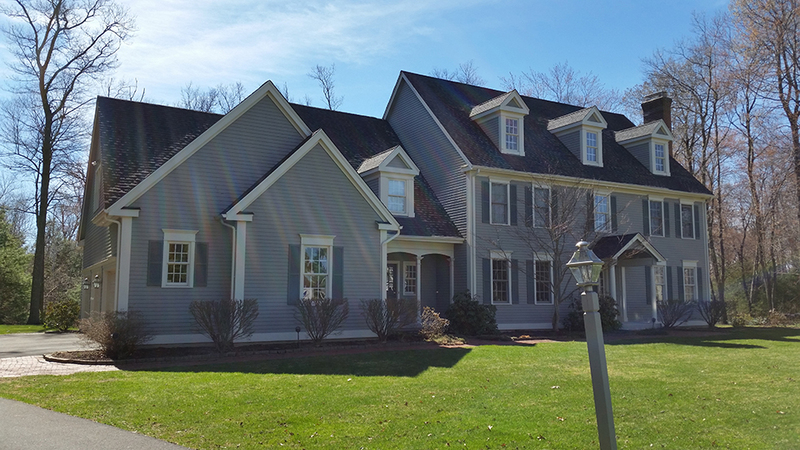 They were one of the lowest estimates we looked at for Connecticut roofing companies - and some of the highest quality work we've seen. I cannot be happier. I HIGHLY RECOMMEND AM-PM Roofing. Paul and the AM-PM Roofing crew were awesome. 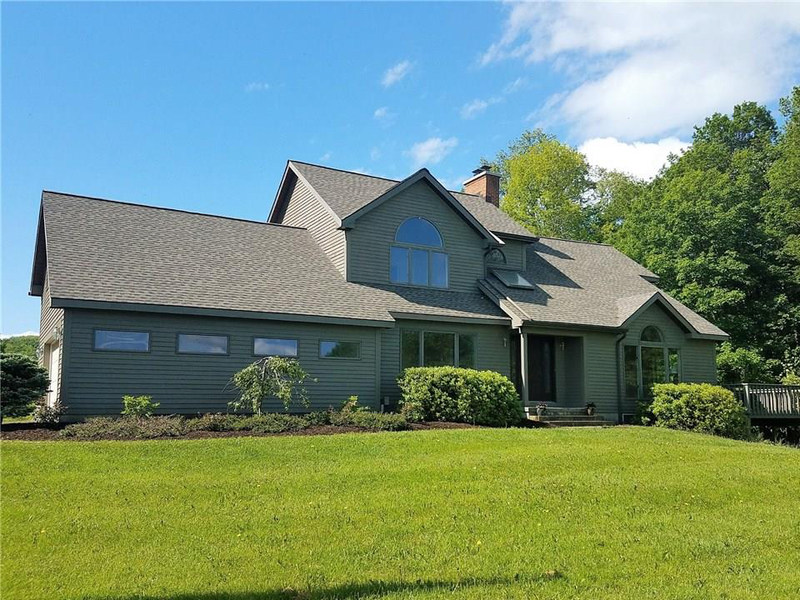 They crushed their Connecticut Roofing competitors in both price AND quality craftsmanship. My wife and I are very satisfied with their work and we highly recommend them. Paul thank you for great job! #bestroofers! Just had our roof completed by AM-PM. Totally thrilled. Watched the entire job as it was done. Crew worked like a well-oiled machine. Paul oversaw the entire job and was on site the entire time. Glad we hired a pro. Previous roofer, albeit very talented, used shingle nails to attach plywood to rafters... Roof only lasted 8 years. Expecting to get 25-30 years out of this one. Paul recently replace roof for me. He was very easy to work with, courteous and straight forward, no high pressure sales pitch. His crew was very professional too, cleaned up the place nicely after the work. I would recommend AMPM. Paul has a lot of experience and know how. His crew came in and stripped our old leaky roof today and replaced it before sunset. Other companies wanted more money and one estimated five days of work. Trust me, I'm picky, but the property wasn't a mess for long. We have a lot of plantings around the house and the crew made sure to protect them. The guys are very skilled and conscientious about details and cleaning up! The roof is beautiful! This is our second experience and better than the last. Paul and his crew are honest, dependable, remarkably efficient, and very thorough. One of guys even brought back soup for my elderly father when the worker went to pick up the crew's lunch; so thoughtful. While I can't promise you'll get soup, I can assure you that when they are finished there will be nothing left behind but a beautiful roof at an extremely competitive price. Project: Install or Replace an Asphalt Shingle Roof. Comments: Excellent job! I am very happy. It took them half a day to do the roof and so far it is great! No leaks in the roof . I contacted Paul for a roof repair. He had excellent communication and explained things to me with patience. He repaired my roof to give me extra time and gave me an idea of a price for a replacement when I am ready. Just had my roof done by AM PM Roofing. Paul was very good to work with. His price was competitive, the work was done in a timely manner and all the people involved (dumpster delivery person, shingle & supply delivery guy, and the entire work crew) were pleasant, helpful and professional. Finished job was what we hoped for and the cleanup was excellent. Don't imagine I'll need another roof anytime soon but would use him again. Project: Install or Replace an Asphalt Shingle Roof. Comments: Quality job and completed on time. Project: Install or Replace an Asphalt Shingle Roof. Comments: He was the lowest bidder and completed the job in one day, were everybody else said three days. He brought 8 people with him. They were wonderful. They were tidy and clean, used tarps, used a magnet for nails, and always cleaned up accordingly. Recently had my roof done by Paul and company, good experience. Some siding was damaged in the process at no real fault of anyone, old cedar tongue and groove. Paul and I came to an agreement which made both parties happy. This is very important and probably would not have happened with other contractors, would definitely recommend AM/PM. Thanks Paul. Professional crew started 7am completed 3pm including outstanding cleanup. Asphalt roof on 2 story high pitch colonial roof. Remove old shingles & install new asphalt shingles, ice shield, synthetic felt, chimney flashing. Highly recommend Paul and crew for an outstanding job at competitive price. Dan Clinton. Project: Install or Replace an Asphalt Shingle Roof. Comments: Company did good job replacing roof. I had an estimate from a year earlier and they honored that as well as roofing a new shed. In and out in 1 day and Spent considerable cleaning up afterwards. I would recommend this company. Project: Repair an Asphalt Shingle Roof. Comments: Owner, Paul Dube, is friendly, forthright, and professional. Project: Install or Replace an Asphalt Shingle Roof. Project: Install or Replace an Asphalt Shingle Roof. Comments: Paul and his team did an outstanding job on replacing my roof this past Friday. His team worked very effectively with great efficiency to be able to complete the whole job in one day!!! Very impressive. They all acted very professionally and were thorough with the clean up process. I even have less leaves to blow off the deck now ! I highly recommend Paul's company. If I could I would rate them a 10 ! Thank you Paul great job. House looks awesome. Project: Install or Replace an Asphalt Shingle Roof. Comments: Fast service and great customer service. We were contacted within 24 hours of inquiry and the free consultation was done within the same week. Highly recommend company for anyone looking to get their roofing projects done right. Project: Install or Replace an Asphalt Shingle Roof. 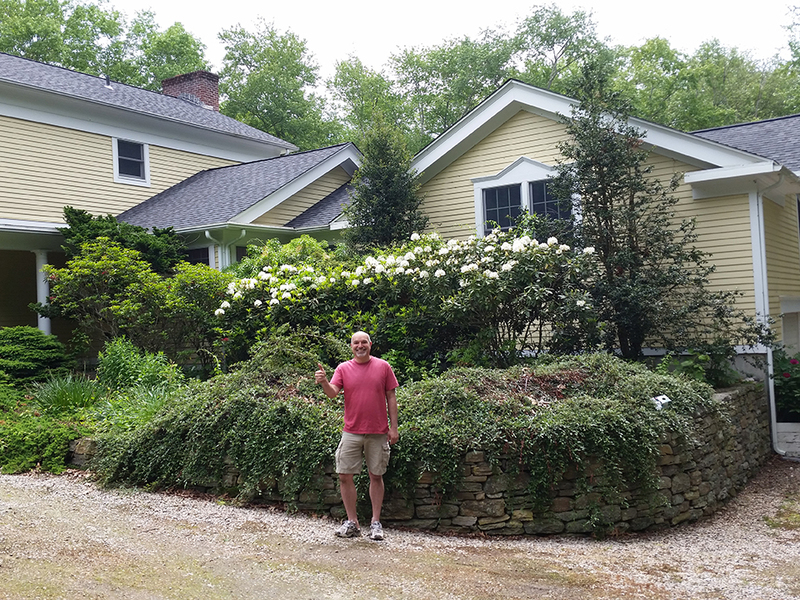 Comments: Review by Georgia E. in East Haddam, CT Project: Replace an Asphalt Shingle Roof Work was done faster than I thought, very professional from beginning to completion. I was provided everything I needed before I had to ask, example: quote (in writing), insurance, references. The price was very comparable but with higher quality materials. I had other contractors give me quotes, Paul was very thorough with his quote, he did what he promised to do. The crew was polite and hard working, they were on time and cleaned the work site when the job was complete. Would highly recommend!!! Absolutely the best!! Paul and his team are professional, reliable and do a great job. Paul stands by his work and is always available when I need him. Hands down, THE BEST! Would definitely hire AM-PM roofing in the future. They came out quickly, found the reason for the water stains on my ceiling and made all necessary repairs for a reasonable price. All around great experience and customer service. Project: Install or Replace an Asphalt Shingle Roof Great job, great customer experience from receiving the quote to completion of the work. Very professional, excellent work. Prompt/on time. Paul.....thank you! Project: Install or Replace an Asphalt Shingle Roof Prompt, friendly service. Hard working crew!! Would highly recommend!!!! Mr. Dube quickly responded to our request for a quote but never attempted to push us into a decision. He simply stood on his own impressive record. We called Mr. Dube twice more with questions and each time he promptly called us back to patiently and professionally answer our questions. Because we had roofs replaced on our home and on our garage, it was an extensive job. We had obtained 15 contractor estimates from other companies over a 2 year period before hiring Mr. Dube's company. The AM PM crew arrived at dawn, worked diligently, and finished the same day. Expert job in roofing and clean up at a reasonable cost. Our neighbor came over as Mr. Dube was leaving after the job was done and expressed interest in hiring AM PM Roofing based on our results. We highly recommend this impressive company. Absolutely the best!! Paul and his team are professional, reliable and really do an excellent job. Paul stands by his work and is always available when I need him......We’ve used him for several jobs and he always delivers quality work. Hands down, AM / PM Roofing is THE BEST! I just had my roof done Oct. 5, 2017 by AM-PM Roofing. I had two other companies come out and give me quotes. When Paul came out he told me all the problems that my roof had and what had to be done to fix them, the other companies never mentioned anything. His crew is great when the job was completed you would never know a roof had been put on the house. My lawn mower guy mowed the lawn the next day and I warned him that the roof was put on the day before. When he finished mowing my lawn I asked him if he hit anything and he said no. I highly recommend AM-PM Roofing. I cannot say enough about the quality workmanship that we received from Paul’s crew, they did an outstanding job on our house and garage, they cleaned up the property spotlessly, they protected all of the shubery and finished in 1 day, we are really impressed! Project: Install or Replace an Asphalt Shingle Roof. Great price for roof & gutters, excellent work, did job in 1 day. Did excellent job cleaning up. Would highly recommend them to anyone who needs a roof replaced. Project: Install or Replace an Asphalt Shingle Roof. Rating: 5 Stars HomeAdvisor, August 29, 2017. Project: Install or Replace an Asphalt Shingle Roof. Comments: Paul and his team did an outstanding job installing our new roof. Work was completed on time and our property was clean of all work related debris. Rating: 5 Star, HomeAdvisor, August 21, 2017. Project: Install or Replace an Asphalt Shingle Roof. Comments: AM-PM did an outstanding job of removing my wood shingle roof, putting down plywood sheathing and when the asphalt shingles were unwrapped I discovered that the wrong shingle type and color had been delivered. Paul went out of his way to locate the correct shingles, went to pick them up in his truck and bring them to my home so that he and his men could finish the job that afternoon and not risk an rain coming into my garage. I could not possibly be any happier with the job that was done! Rating: 5 Stars, HomeAdvisor, August 20, 2017. Project: Install or Replace an Asphalt Shingle Roof. Comments: I could not of been more pleased with Paul Dube and his crew. The roof and skylights turned out beautifully. Everyone in the neighborhood complimented his work. It was done in one day. They protected the plants, carefully placed lawn ornaments out of harms way and put them back when they finished. They cleaned up and it appeared that no one was ever there except the evidence of a new roof. Rating: 5 Stars, HomeAdvisor, August 14, 2017. Project: Install or Replace an Asphalt Shingle Roof. Comments: Had a very good experience. The job was done on time and in a professional manner. Property was left clean. Very Happy. Rating: 5 Stars, HomeAdvisor, August 5, 2017. Project: Install or Replace an Asphalt Shingle Roof. Rating: 5 Stars, HomeAdvisor, August 5, 2017. Great job. It looks fantastic. In and out in 1 day. Efficient and clean. Paul is a great guy to deal with. - August 2017. Project: Install or Replace an Asphalt Shingle Roof. 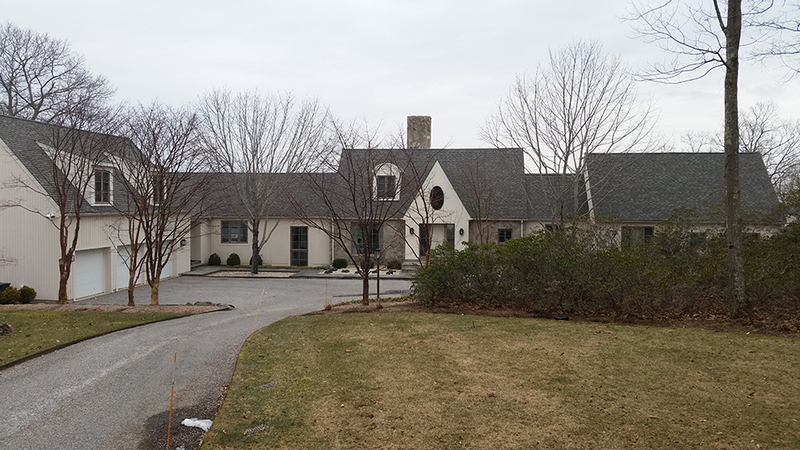 Comments: Install or Replace an Asphalt Shingle Roof The project was top notch. Not only did they show up on time, but they finished the project early. Rating: 5 Stars, HomeAdvisor, July 21, 2017. Project: Install or Replace an Asphalt Shingle Roof. Comments: Paul and his crew were very professional and courteous. Roof and gutters, including cleanup and removal of dumpster took place in under 2 days. Fair price and quality work. Thank you AM/PM. Rating: 5 Stars, HomeAdvisor, July 21, 2017. Amazing experience working with AM_PM Roofing. Their quote was the most competitive out of 5 others. They were able to start the work within 4 days of the contract being signed. Paul sent me regular pictures to show progress. He was also very responsive and would always get back to me within less than 1 hour. Finally, they did a fabulous job cleaning up the yard and the attic. I have to say that they made the whole roof replacement experience as pleasant and easy as possible. Great job AM-PM Roofing! Project: Install or Replace an Asphalt Shingle Roof. Comments: Install or Replace an Asphalt Shingle Roof My roof was replaced in one day in a prompt and professional manner. As a result, I have peace of mind for years to come. Rating: 5 Stars, HomeAdvisor, July 7, 2017. Project: Install or Replace an Asphalt Shingle Roof. Comments: AM PM Roofing (Paul Dube) was very professional and honest. Although I thought I needed a new roof, Paul advised me that he could make repairs instead, and thus saved me the expense of replacing the roof. He and his workers were punctual, thorough and efficient. I would definitely recommend AM PM Roofing to friends/family. Rating: 5 Stars, HomeAdvisor, August 5, 2017. Project: Install or Replace an Asphalt Shingle Roof. Comments: Paul is very professional/timely and efficient/Paul is also very attentive to your concerns/requirements /makes good technical recommendation/was on sight as required and was a pleasure to deal with. 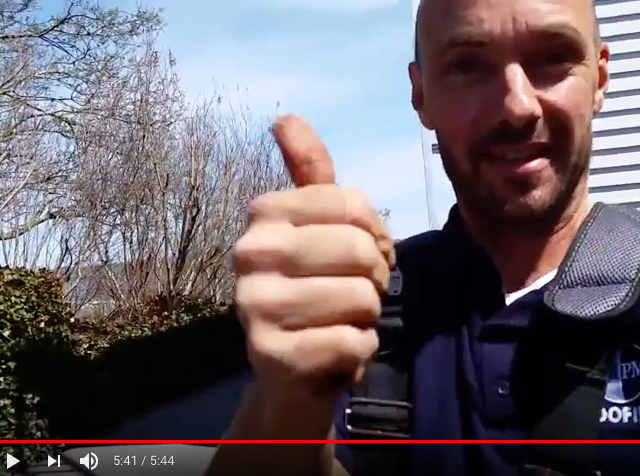 His crews worked extremely hard/ never saw roofers or gutter installers work so hard a and be professional/friendly .Also the crews cleaned- uo with no additional work required by myself. I am glad that I did not chose another roofer and/or gutter installer. Rating: 5 Stars, HomeAdvisor, June 26, 2017. Project: Install or Replace an Asphalt Shingle Roof. Comments: Our roof was done in one day and the job was very professionally done. I highly recommend AMPM for roofing repair or replacement. Rating: 5 Stars, HomeAdvisor, June 24, 2017. Project: Install or Replace an Asphalt Shingle Roof. Paul and his crew replaced my roof, installed chimney caps and cleaned up , all in one day. They met my expectations. I would recommend them to to any homeowner. They are insured and very professional. Project: Install or Replace an Asphalt Shingle Roof Great company to deal with.Job site was left very clean.Their employees were quiet and courteous.Very good overall company to do business with. Project: Install or Replace an Asphalt Shingle Roof. They worked quickly and efficiently and the roof looks great. The owner personally walked around the roof and the yard to make sure everything was done right and the cleanup was flawless. The price was great. Paul was great to work with and gave us a great price. The roof was done in just one day! It came out beautiful. We are very happy with it. Project: Install or Replace an Asphalt Shingle Roof. The owner is a very customer oriented and very easy to work with. He didn't pressure us into using his company. The team came in early morning and was done by the time we returned from work. Others think that my roof looks great. Project: Repair an Asphalt Shingle Roof. Very professional, courteous, respectful. Attended to their work and made sure everything was cleaned up and outside furniture was put back in place. AM-PM Roofing did an incredible job on my roof last October. He was very knowledgeable and handled the initial appointment very professionally. His pricing was the most reasonable of the eight quotes that I obtained from area contractors. He promised me a date for the work to begin and it began and was completed the same day. The roof was a tear down and replacement as well as replacement of ply score where needed. The crew left my home the way they found it. Paul even came back and inspected the area around the yard for any roofing nails or bits of shingle that may have fallen. I was very impressed with the way my roof turned out. Project: Install or Repair a Roof. Very efficient, they do a 2 day job in 1 day, has an experienced crew, they have the whole routine down. Project: Install or Repair a Roof. We were very impressed with how well they did the job and handled the clean-up! I would highly recommend them to others. Thanks to all the crew members of AM PM Roofing. They took care of everything - roofing supplies to dumpsters. The men were extremely organized, efficient, professional, and they diligently assessed informed me and fixed unexpected roofing/chimney problems arising. The quality of their work is beyond reproach. Very appreciative they scanned and cleaned the property of roofing debris. So happy to see my awesome new roof. Truly appreciate their flexibility to work above and beyond the original contract, work ethics to ensure the safety of my family. Highly recommend this company for your home, I give them a 5 for customer care and work quality. Make a decision you won't regret. AM PM earned my trust and respect for their professionalism. AM-PM did a Fantastic job on our new roof, the entire job was completed in one day with the hardest working crew I have ever seen and the clean up was great. The owner Paul went out of his way to make this a Great experience. Project: Install or Replace an Asphalt Shingle Roof. The experience throughout the entire process was simple and professional. The owner and crew were very polite and courteous, they arrived on time and worked to complete my roof in 1 day. Quality of work, knowledge, team and value was exceptional! The experience throughout the entire process was simple and professional. The owner and crew were very polite and courteous, they arrived on time and worked to complete my roof in 1 day. Quality of work, knowledge, team and value was exceptional! Project: Install or Replace an Asphalt Shingle Roof. I would give Paul and his crew a 6.0 if I could...they are top notch at a fair price. Project: Install or Replace an Asphalt Shingle Roof. Comments: A Great crew, clean and fast worked together like a well oiled machine. Paul the owner went out his way to make this a Great experience. Completed the entire job in one day. 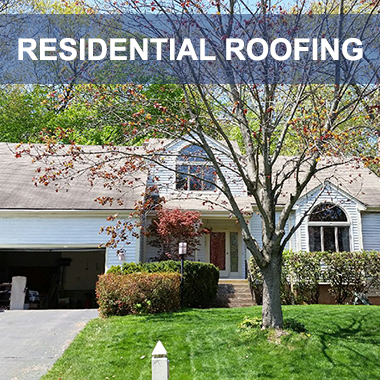 Welcome to AM PM Roofing, the roofing contractors CT that Middlesex, Hartford, New London, New Haven, and Tolland CT county homeowners turn to for a wide range of exterior home improvement services. Since 1988, we have been providing our neighbors with high quality services, using the kind of top-notch materials needed to create dependable improvements on homes in the Middletown, New London, Hartford, New Haven, and Tolland CT metro areas. Roofing, gutters and downspouts, siding and chimney repair are just a few ways AM PM Roofing can add value, beauty, and comfort to your home. 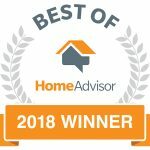 AM PM Roofing has a BBB A+ Rating, and are winners of the Best of HomeAdvisor 2017 & 2018, distinctions that speaks wonders about our customer service. So if any aspect of your home is damaged or aging, AM PM Roofing is your one stop for roofing or other exterior home improvement. We’d love to work on your next Middletown, New London, Hartford, New Haven, or Tolland CT metro area roofing, gutter, siding, or chimney project. No matter the size or shape of your project, we’ve got you covered! 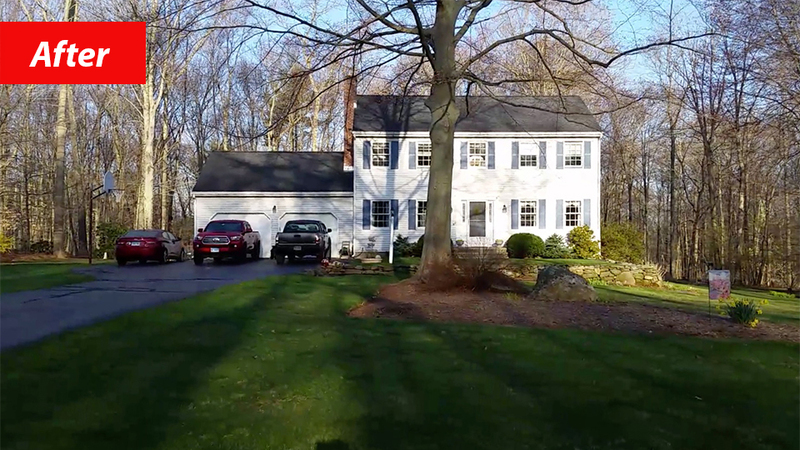 AM PM Roofing, Roof Replacement CT experts, we work hard every day to be the roofing contractor Connecticut homeowners can turn to for roof replacement needs. We have over 30 years experience replacing roofs in Middlesex, New London, Hartford, New Haven, and Tolland counties. Our proven success in installing the highest quality roofs at affordable prices is demonstrated by our A+ rating, customer reviews, repeat business, referrals, and our reputation in the community. 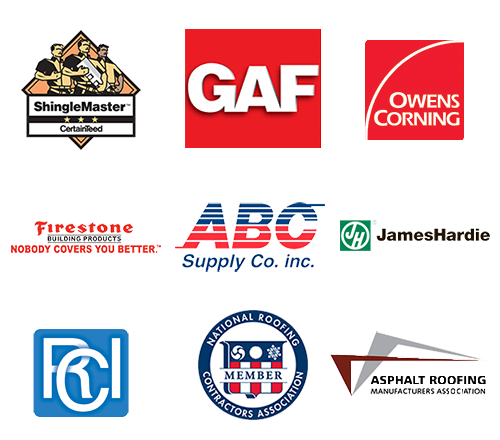 Our partners include the leading roofing manufacturers such as GAF, Certainteed, Owens Corning, James Hardie, and others. We design and install superb roofing systems that will last your family for years to come. CALL us today 860-346-2676 or SCHEDULE ONLINE for a Free Roof Replacement Cost Quote. 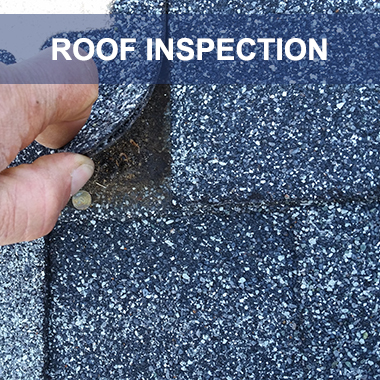 Our roof inspectors will evaluate your roof’s condition, diagnose any problems, and make the appropriate recommendations to restore your roof. If you only need roof repair, AM PM Roofing Contractors CT are experts at restoring your roof to new and safe condition. We are experts at fixing roof leaks, shingle damage, storm damage, structural damage, wood rot, and more. We will never oversell you on an unnecessary roof replacement if your problems can be solved with roof repairs. CALL us today 860-346-2676 or SCHEDULE ONLINE for a Free Roof Repair Estimate Quote. 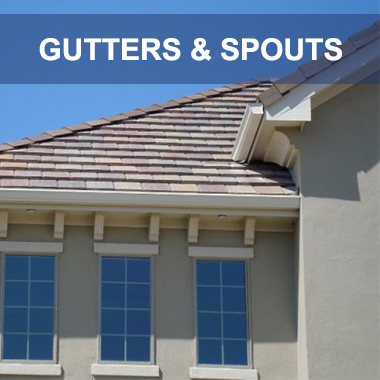 The pros at AM PM Roofing are gutter and downspout installation experts. Properly installed gutter systems protect your exterior siding and trim from water that can potentially damage paint and cause wood rot. Gutters also preserves your topsoil. We offer gutter installation, seamless gutter, and gutter guard services. The AM PM gutter professionals know how to keep the exterior of your home safe, so the interior does not experience damage. 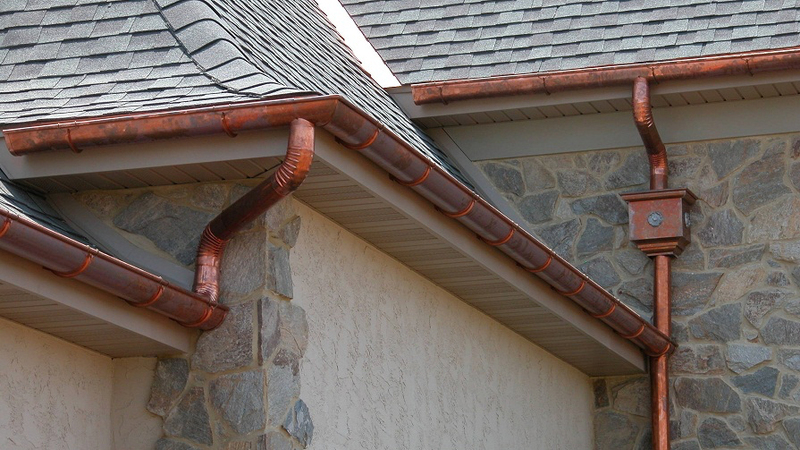 Our gutter experts can install high quality gutters that deliver effective roof drainage year round! CALL us today 860-346-2676 or SCHEDULE ONLINE for a Free Roofing Replacment or Repair Quote. 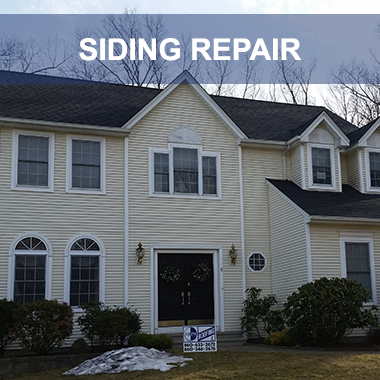 In addition to our dependable roofing and gutter services, AM PM Roofing also specializes in the kind of siding installation and repair Middlesex, New Londong, Hartford, New Haven, and Tolland CTT residents need to make their home more energy efficient and increase their curb appeal. Thanks to James Hardie we are able to install energy efficient siding onto local homes, helping to lower the energy costs. This sets us apart from roofing repair contractors in Hartford, New London, New Haven who can not offer James Hardie siding. We offer a wide range of colors, styles, and textures of siding, and our design team will be happy to help you choose the right one for your home. AM PM Roofing has the solution to all your residential and commercial chimney repair needs. 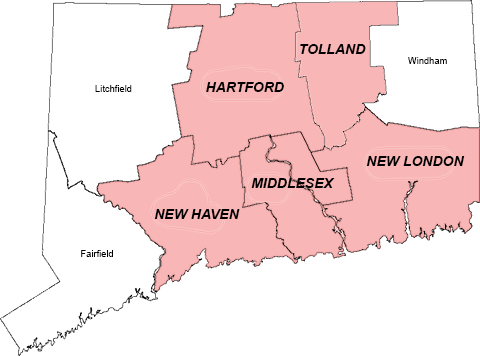 We offer reliable and quality service throughout Middletown, New London, Hartford, New Haven, and Tolland CT metro areas. We provide complete brickwork and masonry services including brick pointing, repointing, and tuckpointing. Anything chimney, we do it! Our qualified, friendly, and reliable chimney professionals at AM PM Roofing are here to help and repair any commercial or residential chimney problems. 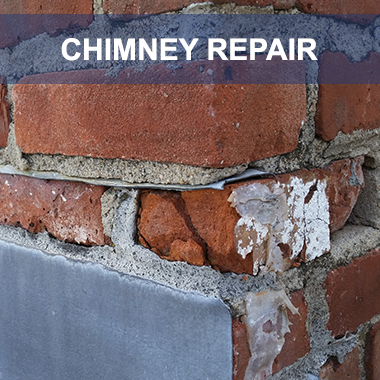 We are experts at chimney damage, masonry work, brick pointing, chimney leaks, chimney cleaning, chimney inspections, chimney storm damage, and any chimney repairs. If you are experiencing problems with your roofing system, this can be a risky proposition. 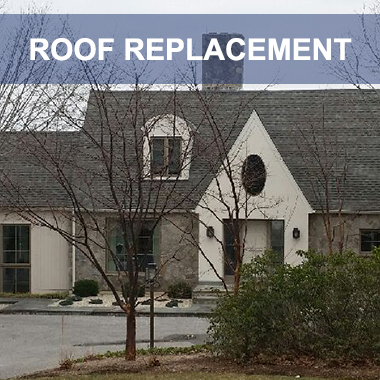 Having experienced Roofers in CT to perform roof replacement or repairs will protect your home from the elements. It is recommended that any repairs be taken of promptly, otherwise the problems may be exacerbated, causing more expense, time, and stress in your life than need be. Prior to hiring a roofing company to perform work, contact your homeowners insurance provider to learn what damages your policy will cover. 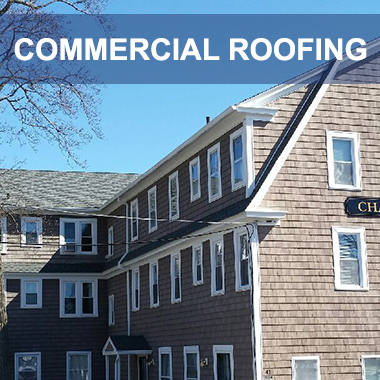 AM PM Roofing, Roofing Contractors CT, are locally owned and operated licensed roofers in CT. 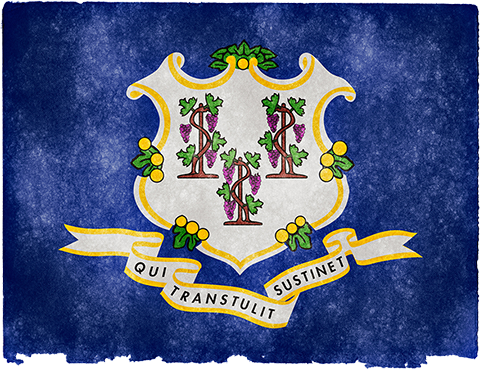 Since 1998 we have been providing excellent quality workmanship and customer service in Middlesex, New London, Hartford, New Haven, and Tolland CT counties. 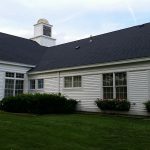 AM PM, Roofing Contractors CT, has the experience, licenses, skills, and materials to provide you with a beautiful and high performing roofing replacement in Connecticut. As a result, our Roofing Contractors CT will install the roof of your dreams! 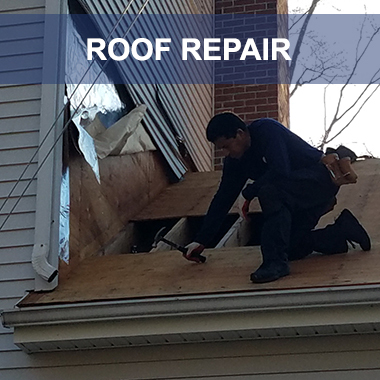 We have been providing expert roof replacement, roof repair, gutter, siding, and chimney services in Connecticut for over 30 years. We are a BBB A+ Rated Roofing Company, and have won the Best of Homeadvisor Award in 2017 and 2018. Roofing Contractors Centerbrook, Chester, Clinton, Cobalt, Cromwell, Deep River, Durham, East Haddam, East Hampton, Essex, Haddam, Higganum, Ivoryton, Killingworth, Middlefield, Middletown, Moodus, Old Saybrook, Portland, Rockfall, Westbrook CT.
Roofing Contractors Baltic, Bozrah, Colchester, East Lyme, Franklin, Gales Ferry, Gilman, Griswold, Groton, Lebanon, Ledyard, Lisbon, Lyme, Mashantucket, Montville, Mystic, New London, Niantic, North Franklin, North Stonington, Norwich, Oakdale, Old Lyme, Old Mystic, Pawcatuck, Preston, Quaker Hill, Salem, Sprague, Stonington, Uncasville, Waterford, West Mystic, Yantic CT.
Roofing Contractors Avon, Berlin, Bloomfield, East Hartford, East Windsor, Enfield, Farmington, Glastonbury, Granby, Hartford, Marlborough, Manchester, Newington, Plainville, Rocky Hill, Simsbury, Southington, South Windsor, West Hartford, Wethersfield, Windsor, Windsor Locks CT.
Roofing Contractors Branford, Cheshire, East Haven, Guilford, Hamden, Madison, Meriden, New Haven, North Branford, North Haven, Wallingford CT.
Roofing Contractors Andover, Bolton, Columbia, Coventry, Ellington, Hebron, Tolland, Vernon CT.